Amazon’s long-rumored entrée into the prescription business recently became a reality. It’s clear that the real estate industry will soon find itself with a major drug problem. You’ve probably heard rumblings about Amazon’s potential entrée into the prescription drug business for the better part of this past year. Yet the latest move by the e-commerce giant has turned that rumor into a reality. Outbidding Walmart, Amazon just shelled out $1 billion for a startup that will provide it with “nationwide access” to the prescription drug business. The online retailer’s acquisition of PillPack now gives it the ability to ship pharmaceuticals overnight to patients in 49 states. This will be the ultimate disruption for the drugstore business; indeed, shares of Walgreens, CVS and Rite Aid tumbled in the wake of the announcement. It’s significant for the commercial real estate industry as well, and the impact comes down to simple logic. The sector’s three major chains—Walgreens, Rite Aid and CVS—currently occupy 22,375 locations throughout the US. On the purely retail end, they were already feeling the pressure of the Amazon effect, shrinking their collective footprint by nearly 20% in response to declines in sales of non-drug-related goods. Now that the e-commerce behemoth has encroached on their main line of business, it’s fair to expect even more erosion. At a minimum, Amazon will likely slice off 25% of all prescription sales. The subsequent impact to revenues will then lead to further reductions in both the size and number of stores that these chains, and others, will occupy. That translates to a lot of mothballed space. It’s clear that the real estate industry will soon find itself with a major drug problem. 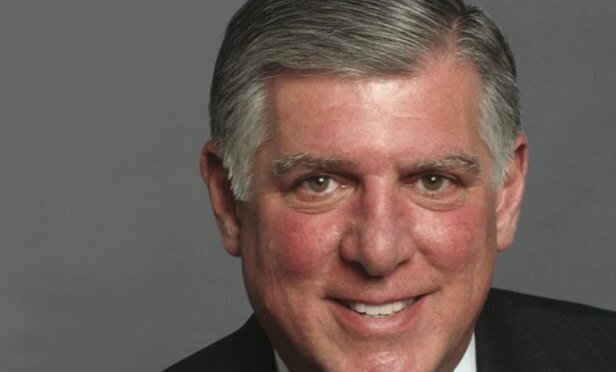 Tony LoPinto is the Global Sector Leader of Korn Ferry’s Real Estate Practice and founder of SelectLeaders. For the past 18 years LoPinto has been serving his clients with deep knowledge and perspective on talent needs and organizational challenges to public and private companies – knowledge gained from a 25-year career in real estate. Prior to his current position, he founded and served as chief executive officer of a boutique real estate executive search firm, where he oversaw offices in New York, Chicago, Washington, DC, San Francisco and Los Angeles. He has successfully led several high profile search engagements for chief executive officers, directors and a wide-range of executive level positions across all industries and sectors. He earned a Bachelor of Arts degree in European history from Loyola University in Chicago. The former historic National Products Company building has a new life as a modern mixed-use development.